Y’all know I gots to migrate. Y’all know I had to migrate. So ya’ll need to migrate up out the door. Them boys migrate to where it’s hot. Got stacks plus I’m back with Mariah. Shawty best believe, it’s time to migrate. 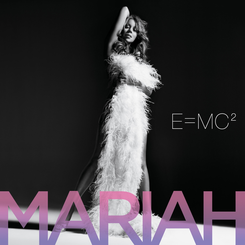 “E=MC²” is the eleventh studio album by American singer-songwriter Mariah Carey. It was released in the United States on April 15, 2008 by Island Records. The singer began recording the album in 2007 in Anguilla, after writing and composing most of its material during and after her 2006 Adventures of Mimi Tour. Carey worked with several notable songwriters and producers during the course of the project, including Jermaine Dupri, Bryan-Michael Cox, Stargate, The-Dream, Tricky Stewart, Scott Storch and Danja. “Teriyaan Tu Jaane” is recorded by Amit Trivedi. Amit Trivedi track for Coke Studio @ MTV Season 4 is out. Amit Trivedi, Harshdeep Kaur and Jyoti Nooran have sung this beautifully. So check out this new song lyrics and also watch teriyaan tu jaane video song with lyrics. Irshad Kamil penned lyrics of this new song. This new hindi song is composed by Amit Trivedi. Coming to the song’s review, it is a feel good refreshing song. So make sure to check out teriyaan tu jaane song and share it with your friends. “Can’t Remember to Forget You” is a song recorded by Colombian singer-songwriter Shakira from her fourth English and overall tenth studio album, Shakira, featuring Barbadian recording artist Rihanna. Shakira began planning to new music in 2011; work continued into 2012, at which time she left her previous label Epic Records and joined RCA Records. 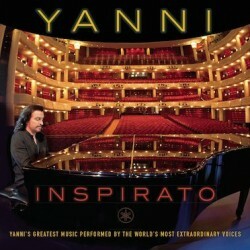 Inspirato is Yanni’s seventeenth studio album, released in 2014. 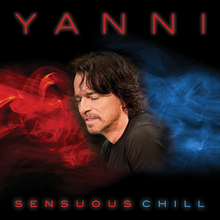 To create the album, Yanni collaborated with opera tenor Plácido Domingo and producer Ric Wake to select distinguished vocalists to perform songs that Yanni had previously released over his career.